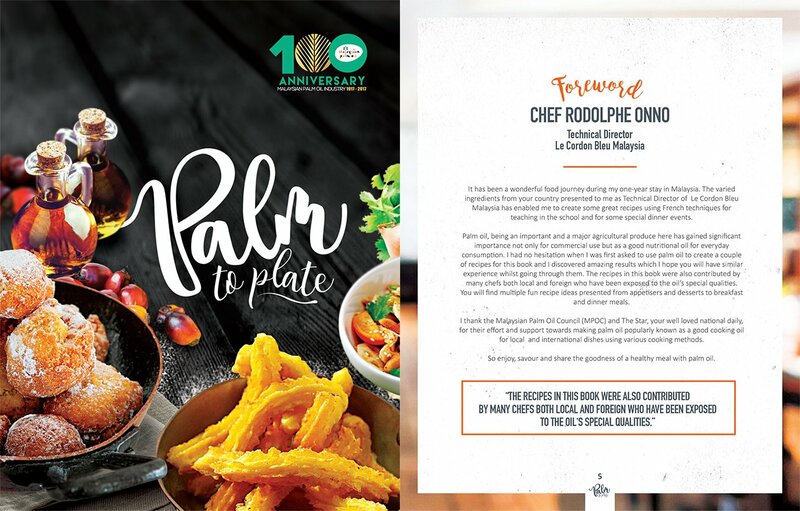 Le Cordon Bleu was invited by the Malaysia Palm Oil Council to contribute a few recipes using palm oil for a recipe book to be published in conjunction with 100 years of Palm Oil planting in Malaysia which will be celebrated in 2017. The book entitled Palm to Plate was finally launched at the POC 2017 with our Technical Director Chef Rodolphe Onno handing over a signed copy each to the Ministry of Plantations & Commodities, YB Datuk Seri Mah Siew Keong and CEO of the Stock Exchange Malaysia, Datuk Seri Tajuddin Atan. Chef Onno in his forward said "I had no hesitation when I was asked to use palm oil to create a couple of recipes for this book and I discovered amazing results which hope you will have similar experience whilst going through them"
Several renowned local chefs and expatriate chefs based in Malaysia had also contributed recipes to the book which will be sold at major bookstores nationwide.